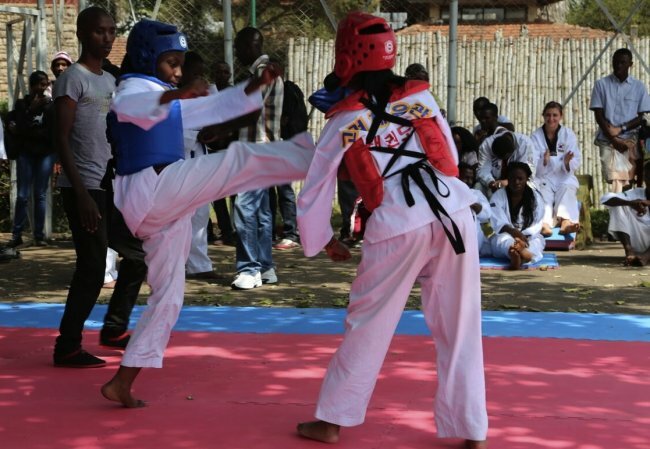 The fourth the Mombasa Open Tong-Il-Moo-Do International Martial Arts Championship which starts on August 27 at Aga Khan Academy, Mombasa has attracted 23 countries. According to Kenya Tong-Il-Moo-Do Federation Secretary General Hillary Wahanda some of the 23 countries include the Philippines, Japan, South Korea, Rwanda, Uganda, Thailand and Rwanda. Too-il-moo-do is basically a culmination of defensive martial arts techniques drawn from tae-kwon-do, karate, judo, aikido and jujitsu. The eligible martial artists will be categorised from 8-49 years depending on their technique of choice. In last year's competition, Kenya won all the medals in the men's 60-64 kg sparring category. In the last edition, the Kenyan team dominated the heavyweight and special techniques. Before the championship, a seminar will be held by World Tong-Il-Moo-Do Federation officials and Anti Doping Agency of Kenya. The main objective of the seminar will be to sensitize the coaches, match officials and athletes alike on the general guidelines and character education to ensure a smooth running of the event. Wahanda predicted a good performance by the hosts because of a solid preparation. "This year's competition is going to be more competitive because we are expecting more number of teams. The local teams have been training hard and am positive they will perform once more." he told Sports News Arena.